1.) Continued temporary storm water bypass pumping operations and material stockpiling in the eastbound lane of Roseann Avenue from Clearwater Drive to the westerly side of Croydon Drive. 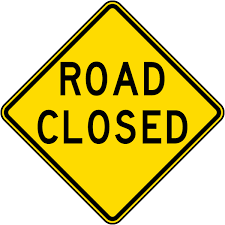 The eastbound lane of Roseann Avenue from Clearwater Drive to Croydon Drive is completely closed to traffic and all curb side parking due to construction activities, the necessary stockpiling of construction materials and equipment storage in that segment of roadway. Local residential traffic will still be able to travel east and west in this block to access their driveways and homes. However, occasional short term closures to all traffic in this segment of Roseann Avenue may occur during various times during the work day. Residential traffic and emergency vehicle traffic will be accommodated. 2.) The Clearwater Drive / Roseann Avenue intersection is now open to traffic. However, inlet construction may possibly begin at this intersection on Monday, February 25, 2019. This activity may require occasional short term closures to all traffic in this intersection. Residential traffic and emergency vehicle traffic will be accommodated. 3.) The Roseann Avenue eastbound lane crossing Croydon Drive to the project limit (at 218 Roseann Ave.) will have the existing asphalt surface milled and left in place in preparation for installation of the new 66”x51”CSP storm main. This work is scheduled for Monday, February 25, 2019. 4.). The Roseann Avenue / Croydon Drive intersection will be closed to traffic for construction beginning early Monday morning, February 25, 2019. This closure is expected to remain in place for a minimum of two weeks to a possible maximum of four weeks.